Find me one sibling who does not fight! Because I know it is almost impossible to find such sibling. Siblings never need any reason to start their fight. They are ever ready to irritate each other and pull each others leg. These small issues turns big within seconds and then eventually lead to big fights which may sometimes even involve pulling one’s hair, slapping, pushing etc. But it is also true that the faster these fights between siblings start, the faster they get resolved. But sometimes, these small fights may turn ugly and can destroy their relation and lead to huge disputes which might be difficult to resolve. Parents should avoid causing situations which later may destroy the relation of siblings. In this article we have provided few of the reasons why sibling fights and how can parents avoid such fights. No child has the same kind of personality. If one is very good in academics, the other may be excellent in sports. It is not necessary that every child has the same area of interest. It is because of this varying personality conflicts may arise and ultimately lead to fights between siblings. 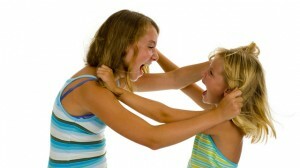 Difference in personalities often leads to comparison between children by the parents which further ignite the fights. This may also arouse the feeling of jealousy between the siblings which can even cause lifelong conflicts. Therefore, it is very important for the parents to understand the difference in personalities of their children and appreciate the differences rather than comparing one another. 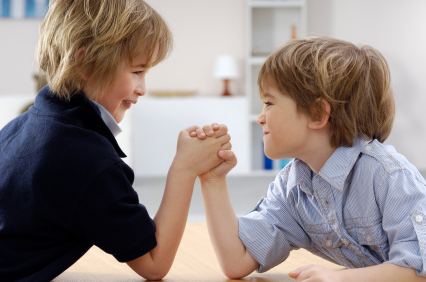 Inequality is another factor that may lead to fights between siblings. Instances are many where children can mark as inequality like unequal number of punishments, hugs, outings, pocket money and many more. Even an extra marshmallow in the hot chocolate is treated as unequal treatment of the parents. Siblings keep record of every small inequality done to them and later on become the reason for fights. 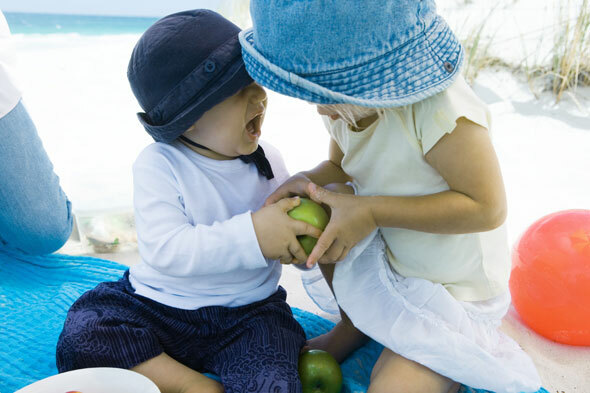 Sharing things between siblings like toys, accessories, clothes etc is another reason that ignites fights. Many a times there are some stuff that both the siblings use on sharing basis. Fights often arouse when either both of them need the same thing at the same time or when either of them has done some damage to the thing. The fight is further intensified when none of them compromises and hand over the thing to the other one or when neither of them admits their mistake and put the blame of the damage on each other. Stress is something indispensible from your life. Every person deals with day to day life stress. The only difference is that everyone deals with different kinds of stress be it either exam stress or job stress or any other. This frustration can also be a reason for siblings fight. As we know that siblings like irritating and teasing each other. But sometimes even small irritating things that are done in innocence by one of the sibling when gets mixed with the stress that the other person is facing can lead to fight between the two. Being parents understand your child and help them remain stress free. Children love it when their parents praise. But hold on, this can also lead to conflict between the siblings. There is always a competition going on between the siblings as who is the smarter one, the talented one, the fastest one, the obedient one, the responsible one and almost for every single title that one can think of. Siblings often compete with each other on all such basis may it be grades, looks etc. Thus parents should always appreciate both the children for their hard work and avoid comparison at all times. Different age requires different requirement. 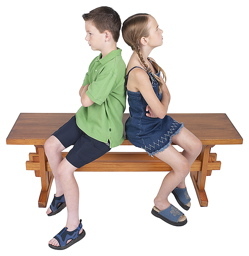 But these things may lead to conflicts between siblings as they consider it as taking sides issues. For example, if the elder one gets to attend late night parties with friends the younger may consider it as unequal treatment. Similarly, if the younger one is more pampered and also most of the times not scolded even after committing mistakes, the elder may feel unfair. Again, the elder one is usually more protective and possessive towards the younger one which may sometimes lead to disputes as the younger needs freedom. Understand that difference in personalities may lead to different tastes and choices. While watching television, one may like to watch cartoons while the other may like news or one may like serials while the other like watching cricket. 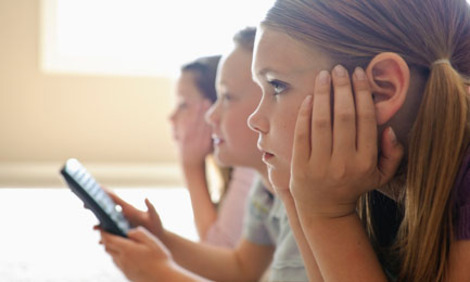 Since, it is not possible for every family to afford as many televisions as the number of children, fight for the remote control of the television is most commonly seen as none like to adjust or co operate. Television can ignite fight at any time even without any valid reason. Children love parental attention and will do anything to get that. But this attention is given to only one it may lead to bitterness between the siblings. During such circumstances when one child is sick or may be one is weak in academics or when one is physically weak or under many other situations it becomes important to provide extra attention and care to that one child. But these can lead to fights between the siblings at times. It is very important for the parents to avoid neglecting the other child completely and also to make the other child understand the gravity of the situation. 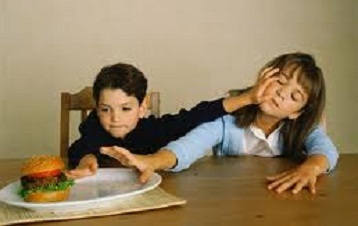 Shortage of junk food like snacks, chocolates etc may lead to fight between the siblings. Even an extra scoop of ice cream or an extra piece of fries can lead to pushing and bullying between the siblings turning out to be big ugly fights. 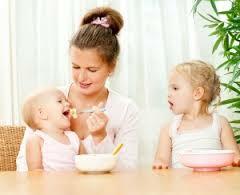 Therefore, it is very important for the parents to avoid such instances by dividing food equally among children. Make sure that nothing is unequal and keep your siblings away from fighting. 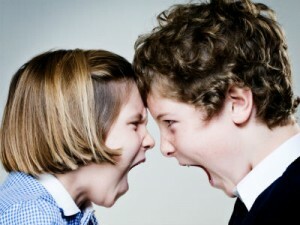 Siblings tend to spend a lot of time together but when they are almost of the same age at times they get irritated which may lead to fights. Everyone needs their own space and privacy and extra interruption of any one of the sibling into the other one matter’s will definitely lead to fights. Today, even reading one’s messages or opening one’s wardrobe is considered as intruding and can thus lead to fights between siblings.